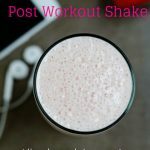 Is it possible to make a Post Workout Shake without protein powder? Absolutely! When I first began working out at the gym I would often get a protein shake after training. 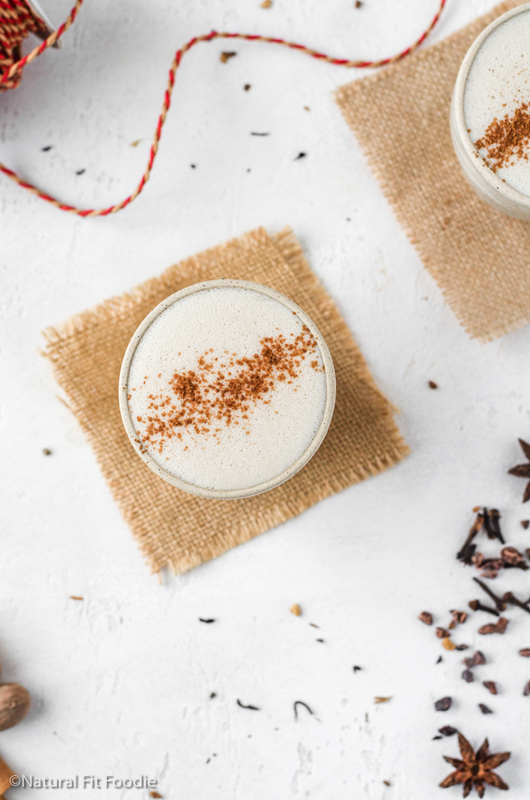 A creamy cappuccino flavoured protein shake, oh so creamy and ever so yummy. At €4 a pop I found the shake to be a tad pricey so I started looking into buying my own protein powder and making my shake at home. Once I read the ingredients at the back of the protein powder bottle that was the last time I considered buying protein powder. Here we go again with the added sugar, salt and carrageenan. Same reason I stopped buying almond milk and started making it. 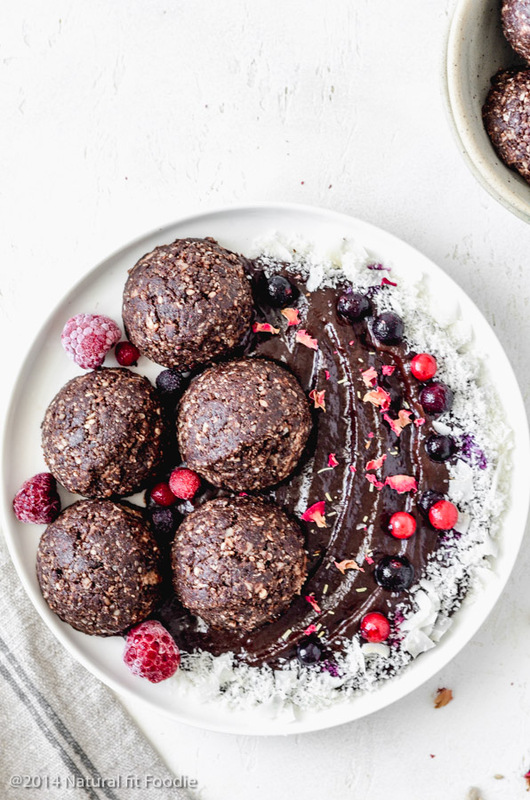 What to use in place of protein powder? Since I was 100% positive that Mother Nature has provided us with everything we need to replenish our bodies post workout, I set out concocting the perfect post workout shake without protein powder. Post workout it’s important to have a balanced amount of carbs, protein, essential fatty acids, electrolytes, and antioxidants for optimal recovery. Luckily, all of these can be sourced naturally. I’ll take real food over supplements any day! 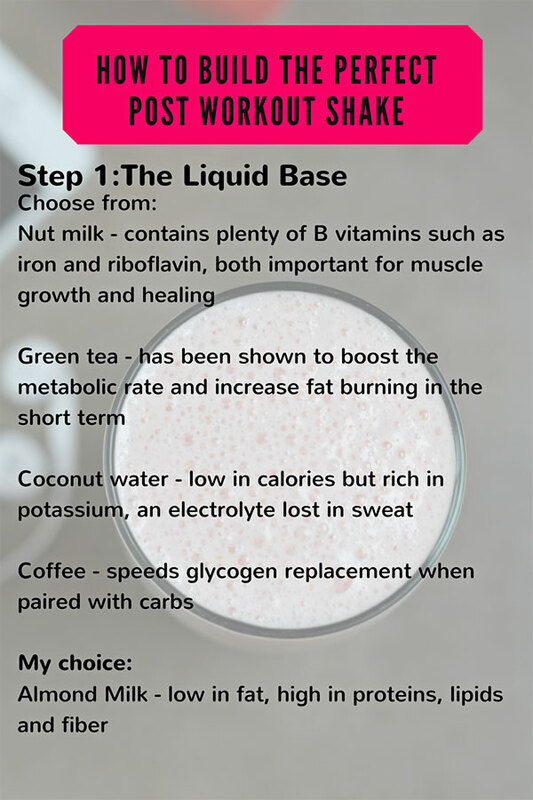 Without further ado here’s my formula for the perfect post workout shake without protein powder. Try to maintain this order, especially if like myself you do not own a high-speed blender.Step 1 Liquids, Step 2 soft ingredients, Step 3 frozen ingredients and Step 4 nut butters last only after an initial whirl. Fruit is an excellent source of simple carbs and antioxidants. Simple carbohydrates can be converted into energy almost immediately. 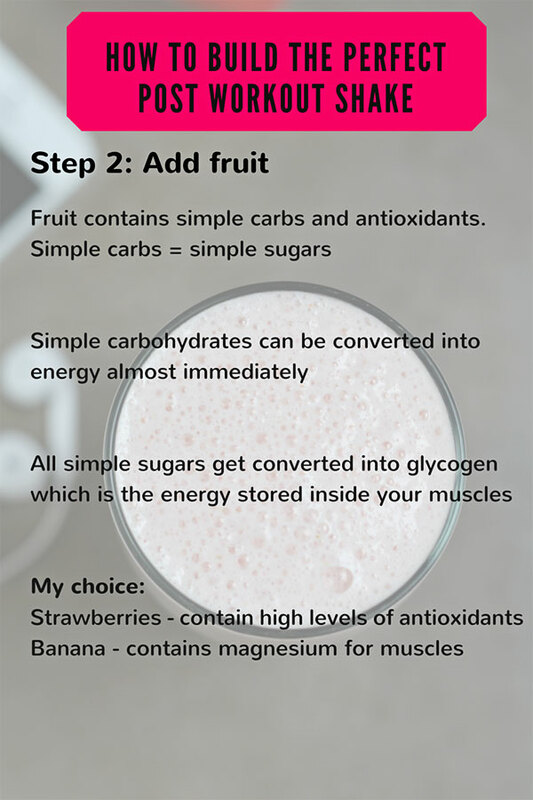 All simple sugars get converted into muscle glycogen which is the energy stored inside your muscles. My choice : strawberries and bananas which are a great source of magnesium which helps muscles repair and ease DOMS. What do you think? 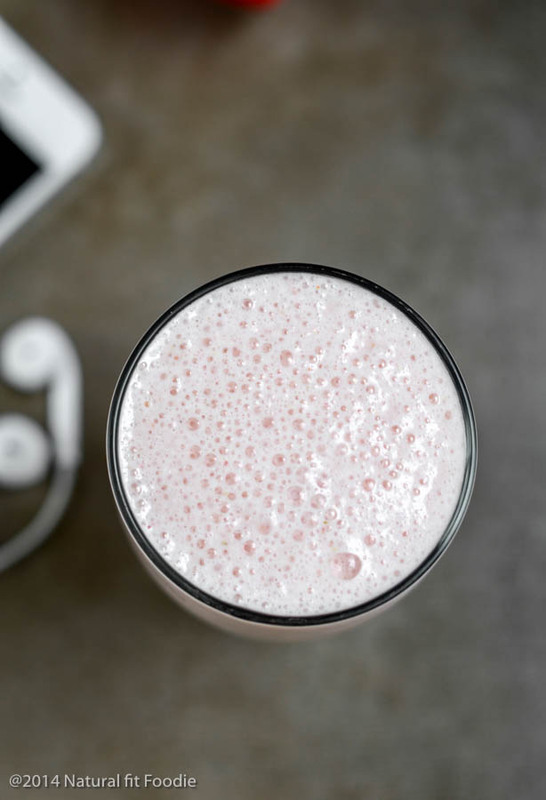 Is it possible to make a ‘good’ protein shake without protein powder? Leave me your thoughts below! previous: DIY Baking Soda Air Freshener : plus 3 simple recipes for every room of the house! Let me know how you like it Kim! I don’t use a lot of protein powders…i like your formula!! A perfect meal in a glass! 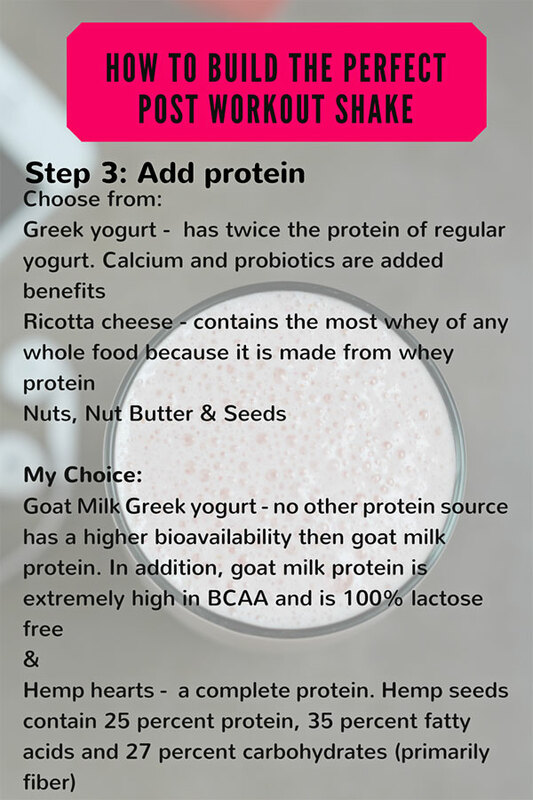 Love your formula, I like to use goat milk yogurt and hemp seeds for protein in my smoothies too! I’ve never been able to find goat’s milk greek style yogurt! Only plain goat’s milk yogurt. Where can I find it? Or what brand do you buy? What a great post! Thanks for sharing your recommendations. I often add hemp seeds in my smoothies, sometimes chia seeds. I’ve never used green tea, but am so curious to try! 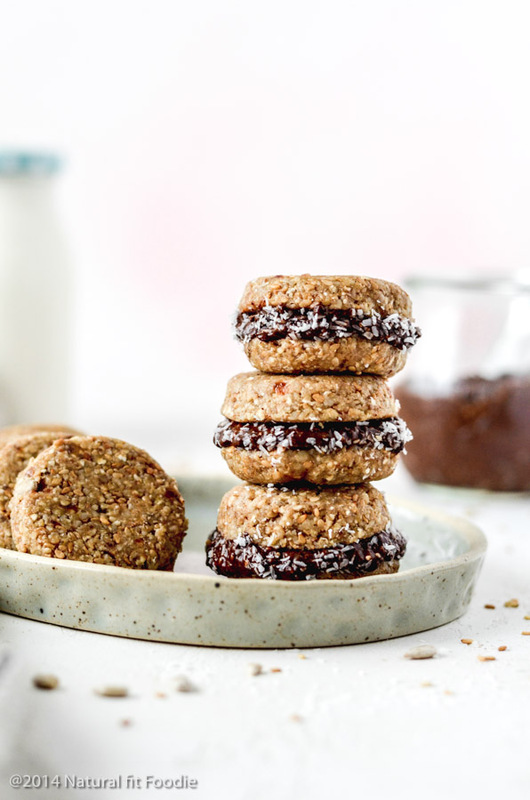 We typically add almond milk and plant-based protein powder along with seeds of some sort. I need blend up some more fruit! Thanks Steph! I really like using green tea for a change and with all those antioxidants you just can’t go wrong! I never thought to use green tea as a smoothie base. Such an interesting idea!